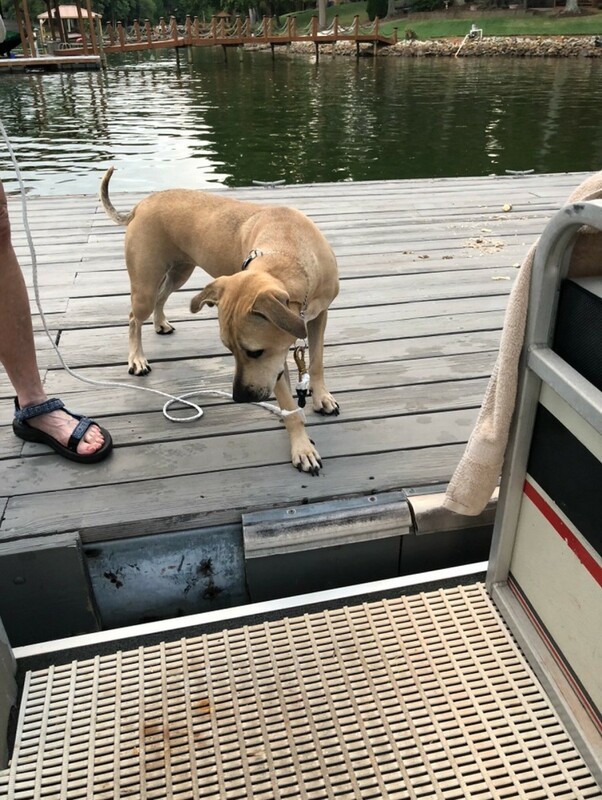 The gap between the dock and your boat may cause concern for you dog when she is asked to climb aboard. 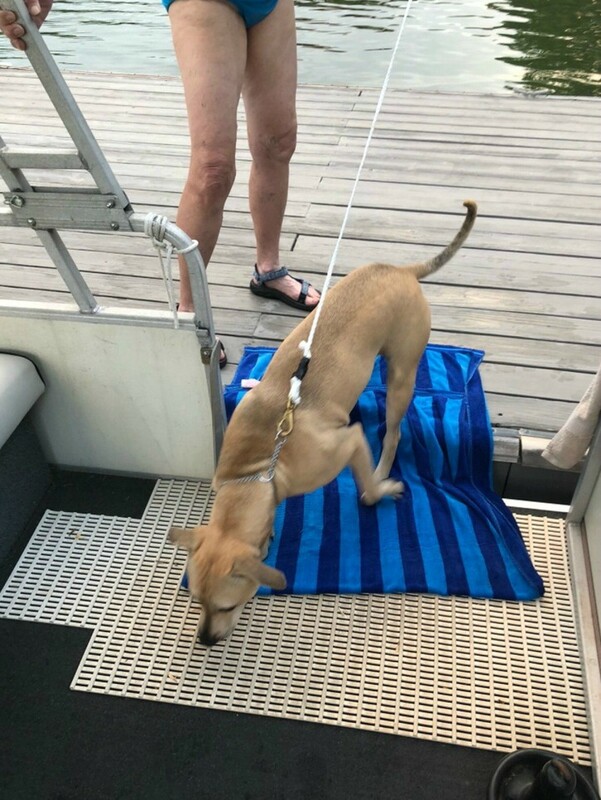 This guide offers a simple solution to getting your dog to cross a gap onto a boat. Our family got our first dog last summer. Sierra is a 2 year old mixed breed and has been a wonderful addition to our family. 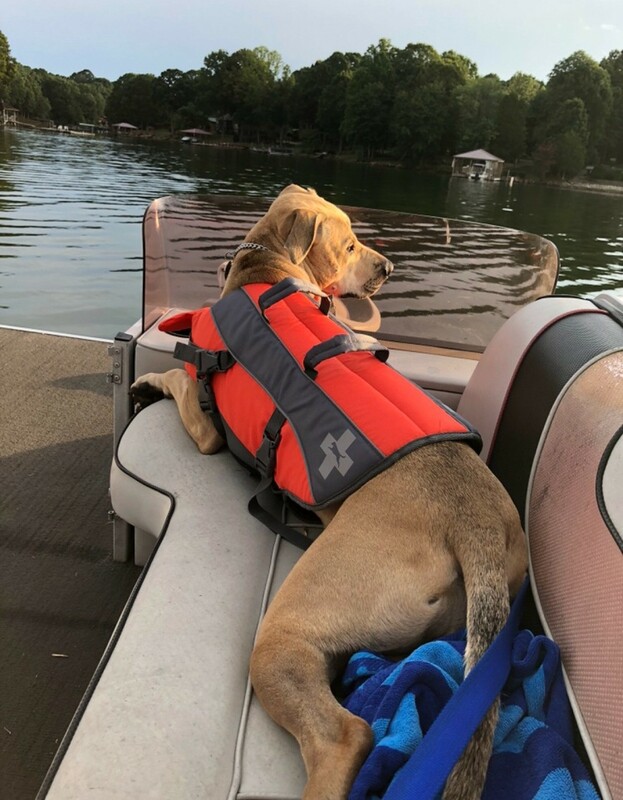 We live on Lake Norman and enjoy going out on our pontoon boat whenever possible. We were so excited to take Sierra on her first boat ride. She however, would not cross over from the dock to the boat even though it was just a small gap of about 10 inches. Sierra is a medium sized dog (50lbs) so it should have been an easy walk onto the boat. We tried everything to coax her on, but she wasn't going to do it. Then I had a brainstorm! 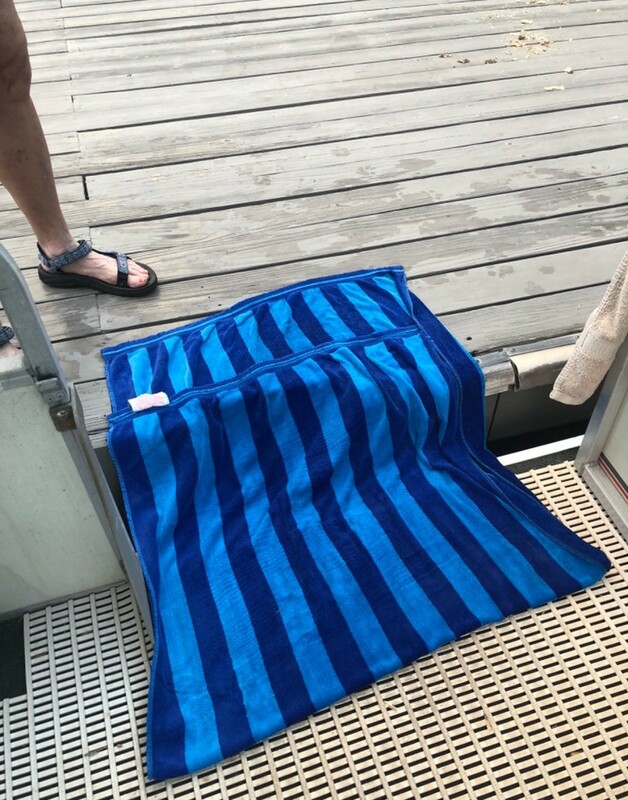 I took my beach towel and laid it across the gap from the dock to the boat. Sierra walked right on without any hesitation. I was amazed at such a simple fix! I am also going to try the "towel bridge" trick when we get our invisible yard fence placed next week. The invisible fence salesman told us we would have to train her to cross the boundary line at a certain point to go for walks with us outside the protected area. I'm going to try the towel bridge at the area we exit to go for walks. Hope it works! I will post an update once we try it. You will need a large towel, like a beach towel. Lay a large towel across the area to be crossed. Guide your dog across the toweled area. Enjoy the stress free transition of getting your doggie from one side to the other side. Beautiful dog. 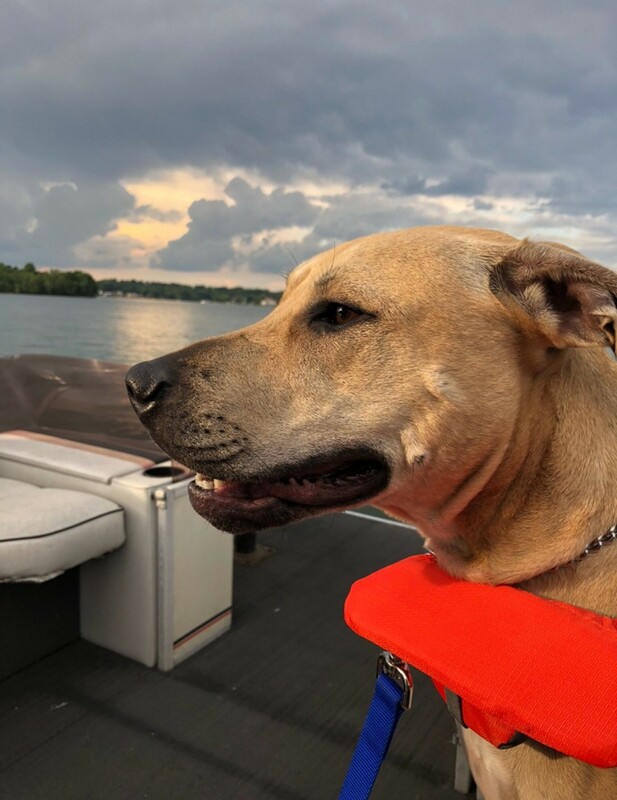 Such a concerned look on her face about crossing that gap and then such a relaxed and enjoyable look when riding on the boat with her life vest. Sweet!! I hope the towel works out with the fence. I remember my daddy trying to get some pigs to cross a line where an electric fence was and he couldn't do it. Had to load them up on the truck and take them across. I do declare, Ida. I'm beginning to believe ThrifyFun has more members from North Carolina than from any other locale. If it's so, so be it. It's a good thing. Likekinds, are you lucky enough to be from NC? We got some good folks here from NC!! Great place to live! I grew up here in NC. Never lived anywhere else.